We organize task forces and study groups on issues of grave concern to the Alliance. Members are researchers, clinicians, practitioners, students and policy experts with expertise on the topic. We welcome individuals at various stages in their careers, from across disciplines, and who who work in a variety of settings. Products from the task forces vary depending on the interests of participants. In the past, task forces have developed special issues of the American Journal of Orthopsychiatry, policy statements, resolutions, briefs, white papers, and conference presentations. 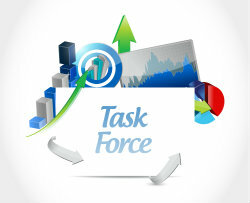 New members are welcome to any of the task forces! Contact us at [email protected] to let us know you're interested. As a global organization that recognizes a threat to injustice anywhere is a threat to justice everywhere, our global mental health task seeks to draw attention to disparities found throughout the world in mental health services and the too frequent violation of the rights of individuals with mental health concerns. A previous task force of the Global Alliance examined the rights and mental health of immigrant and refugee populations. The task force called for the development of comprehensive immigration reform incorporating family-centered policies and promoting family unity. They also emphasized the need for an interdisciplinary dialogue among mental health professionals, child advocates, policymakers and other stakeholders to address gaps in existing immigration enforcement practices and to prevent, as much as possible, the separation of families (see our position paper on the Impact of Immigration Enforcement on Children and Families and our resolution on protecting immigrant children and families). More recently, the Global Alliance has adopted a resolution on families crossing borders. The Task Force is in the process of identifying the next questions related to protecting the rights of immigrant and refugee populations. More information is available about immigration and our work under topics. Discrimination against individuals identifying as LGBTQ has been associated with higher rates of mental health disorders, substance abuse and suicide. Youth identifying as LGBTQ experience higher rates of violence, victimization and homelessness. The concerns of our members about discrimination against individuals identifying as LGBTQ led us to adopt a resolution in March 2017 on protections for transgender students. The Task Force is now identifying the next questions of interest. Want more information about the topic in general, research on the topic or what you can do to help? Click here. The Global Alliance formed a task force on incarceration in 2015 to address challenges related to mass incarceration. The task force worked on a policy brief on mental health and the criminal justice system. The GA is interested in the impact of mass incarceration on children and communities. The student and early career task force highlights both the contributions and needs of students and early career members. 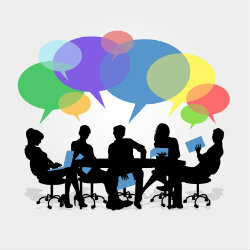 The task force identifies topics relevant to students and early career members, such as Policy 101, and ensures that their perspectives are at the forefront of Global Alliance activities, whether it's organizing conference sessions, drafting policy papers, newsletter content or briefs, or authorizing articles for AJO. The task force also provides opportunities for students and early career professionals to engage in association leadership and to develop skills that are useful in the workplace. In the past, we have sponsored task forces on the Family Homelessness; Children's Rights to Protection of Important Family Relationships; Mental Health and Human Rights; Intimate Partner Violence, and Schools as Places of Community.